Our embedded JotForm is not loading. Your form is not loading because it is currently disabled because the expiration date was set on it to for September 30 at 1:00p.m. Please change the expiration date to No Limit. 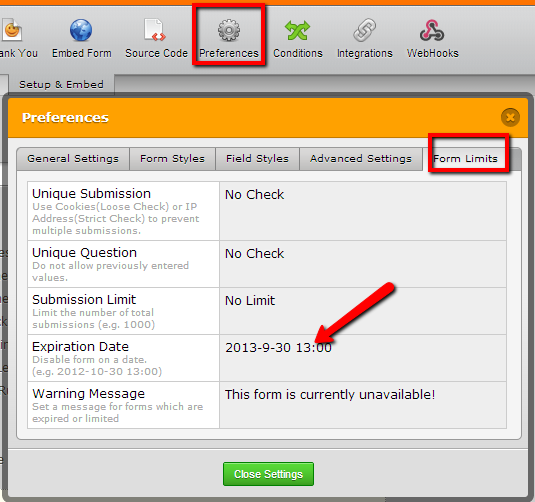 To change the expiration date, please go to Preferences > Form Limits while on the edit mode of your form and then update the Expiration Date field.